A wonderful proportioned “Howard” style open armed armchair with Mahogany ring turned legs on original brass castors. Exquisite quality and a comfortable chair. You will require 4.5 metres of plain fabric or 5.5 metres of patterned fabric. 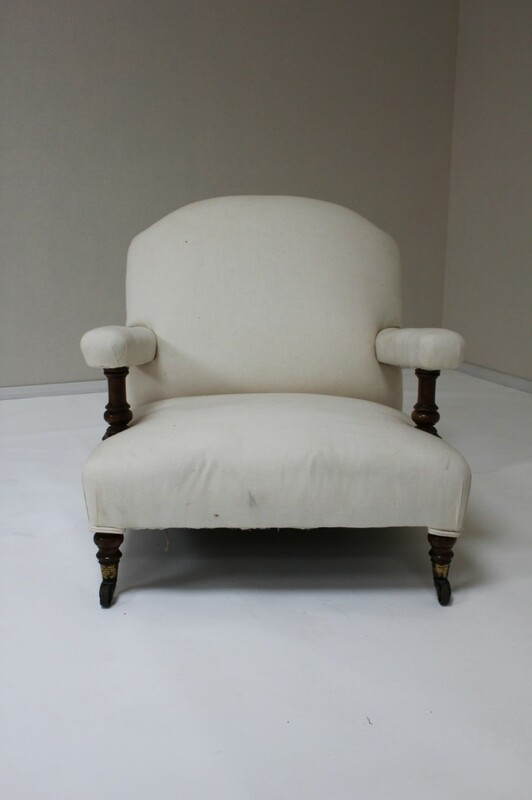 To ask a question about the 19th Century “Howard & Son” style Armchair **RESERVED** click here. We'll email you the answer as soon as possible. 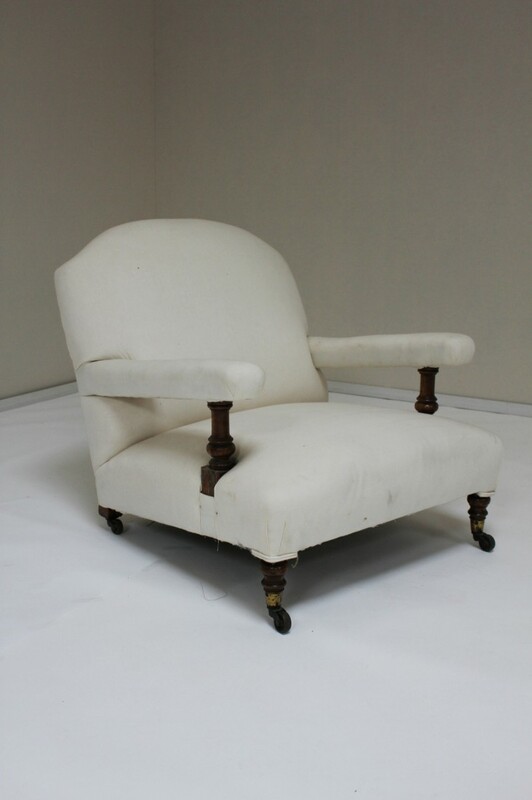 If you have a question about the 19th Century “Howard & Son” style Armchair **RESERVED**, fill in the form below and we'll email you the answer as soon as possible.